Cameraman in Frankfurt-Camera Crew Germany. 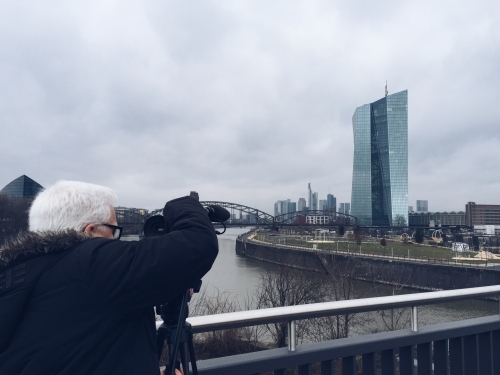 Bloomberg came back again with another European Central Bank shoot in Frankfurt. 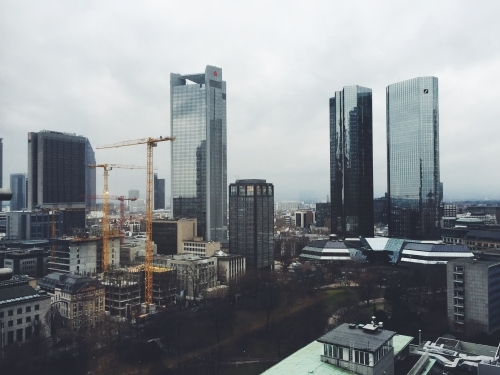 The Bank has relocated to Frankfurt’s East Side and new archive footage is needed for future media usage. Unfortunately the bank didn’t take the old gigantic Euro sign with them, which always provided an attractive backdrop for stand ups. We shot XDCam HD.